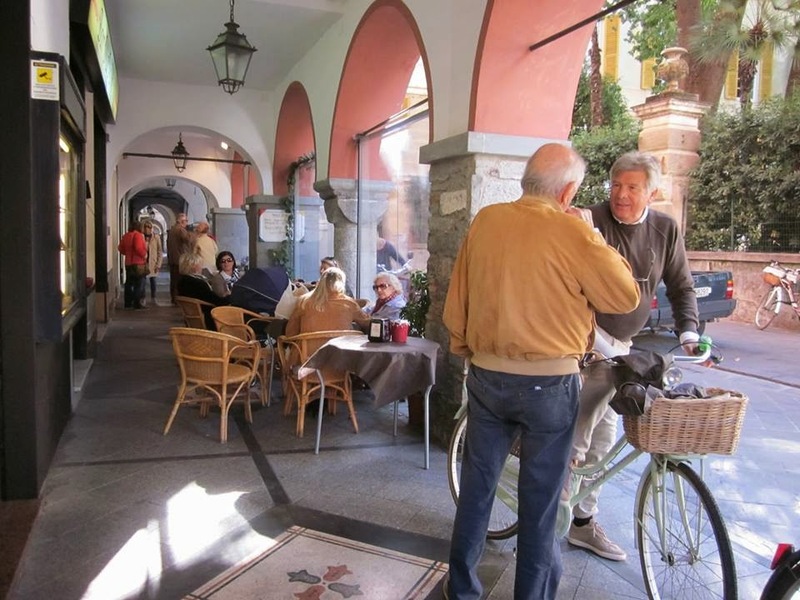 CHIAVARI, Italy – It’s not hard to imagine what life was like in Chiavari during the Middle Ages, any early morning stroll through the old portico covered streets of this small town on the Italian Riviera will take you back thousands of years, and do it faster than a time machine. 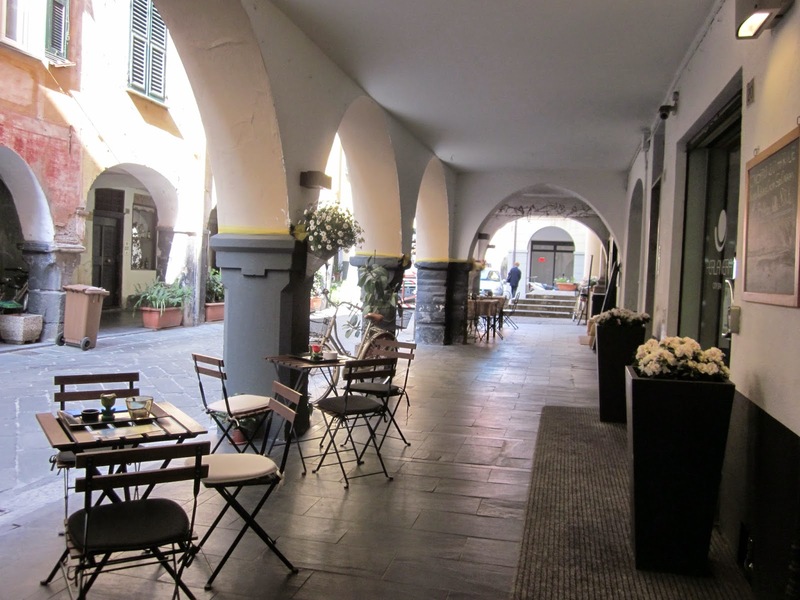 What I like the most about Chiavari are the porticoed streets of the historic center. They are called “carruggi” in Genovese dialect, and while many of them look like movie sets, they unify the center of town better than any other architectural detail ever could. 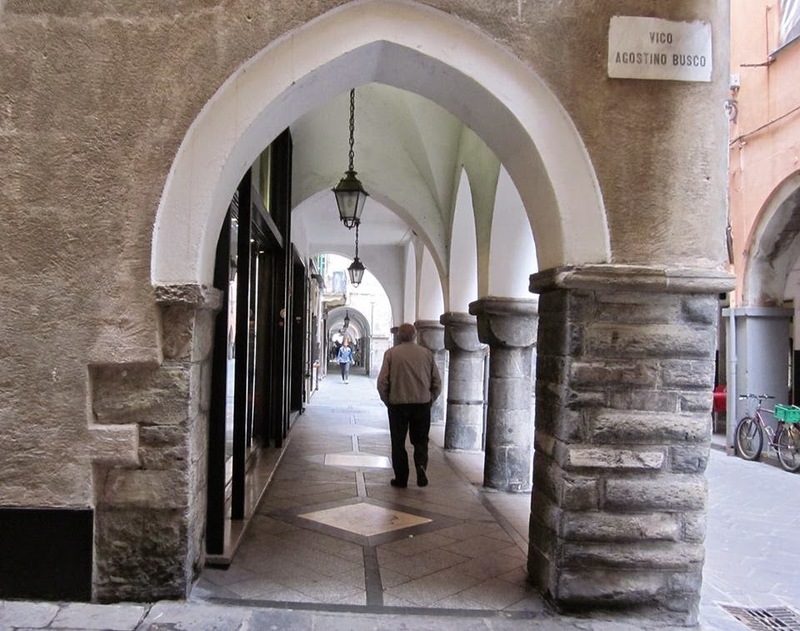 The porticoes were the idea of the Genovese, who took control of the town in 1167. The Genovese were merchants and traders and realized that Chiavari, which was located at the crossroads of the Roman Via Aurelia and the roads for Emilia and Lombardy, was in a strategic commercial position. And precisely because of its position, the town was often under attack by other city states who also recognized the commercial possibilities, as well as by Barbary pirates who lurked in the watery coves waiting for an opportunity to haul away cargo and sell off the locals as slaves. Within a year of taking control, the Genovese fortified the town by building a castle/fortress on the edge of town. Less than ten years later they drew up a plan for what was to be the new Chiavari, safe and secure, enclosed by a circle of walls complete with a moat and a drawbridge. To develop balance in the urban core of the town they created a commercial area of porticoed streets. The most important porticoed street is via Martiri della Liberazione, known locally as the “carrugio lungo”, the long street. 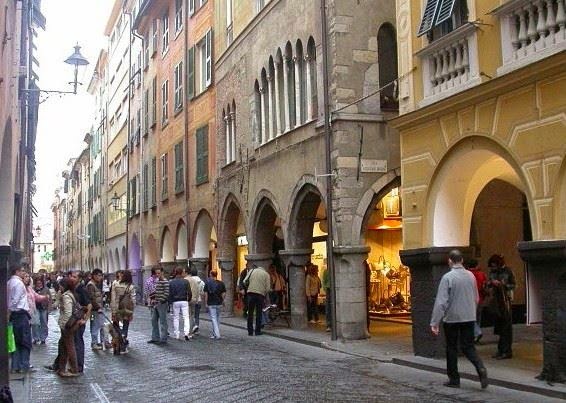 From its conception in the 1100’s, it was designed to be a commercial street occupied by artisans and merchants. On this street, more than in other parts of town, the columns and capitals that form the bases of the porticos are made from a variety of materials, including marble and granite. Because of the differences in the materials, town historians think that the columns and capitals came from China, carried as ballast on Genovese cargo ships on their return trips. It’s entirely possible as the Chiavarsi, as well as the Genovese, had been actively doing business with, or living in China since the days of Marco Polo. There was a lot of money to be made in those early days, and if you were a merchant or trader in this town, chances are you were very rich. And if you also happened to have a Pope on one of the branches of your family tree, you were probably richer than most of your richer-than-all-get-out neighbors. In fact, you were probably richer than anyone in the entire territory. That was the situation with the Ravaschieri family who were related to Pope Innocent IV. Sometime after the year 1250, they built themselves a palazzo the likes of which Chiavari had never seen before. The palazzo was – and is still – called the Palazzo dei Portici Neri, the Palazzo of the Black Porticoes and it is on Via Ravaschieri. Of course it is. Not only are the porticoes on this Gothic building black – as they are made of slate - but they are twice as wide and twice as tall as any porticoes in town. The building’s façade is made from alternating bands of marble and slate, giving it the characteristic black and white stripes that have set the palazzi of rich and royal Genovese apart from the run-of-the-mill palazzi owners for centuries. 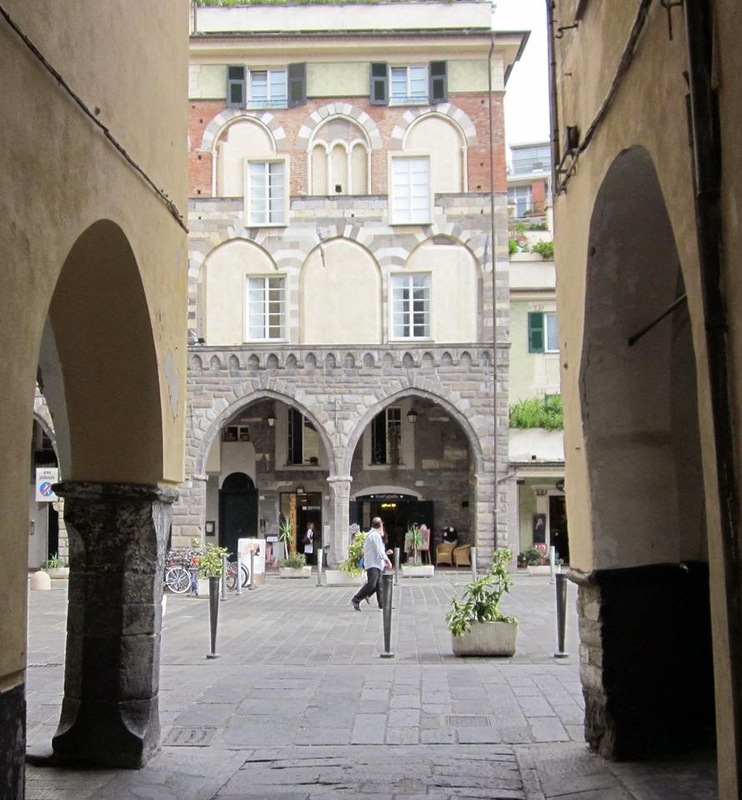 But for all the grand buildings and soaring porticoes, I confess the parts of Chiavari I like the best are the back streets with the squatty old porticoes, the ones where the posts look a little bow-legged and a little tired. I like the posts that seem to have shaken off the layers of cement put on them over the years in an attempt to give the old bricks a make-over. I’m glad they resist. They have been standing in place for almost a thousand years and no doubt they’ll be standing long after those who want to fancy them up are gone. Not far from my apartment there is a building that dates back to 1493. From what you can still see of it, it was a building of rare and haunting beauty. On its façade there is a slate carving of exquisite workmanship, and an inscription on a column that has been almost entirely worn away by time. There is also the bust of a man, clearly from the Renaissance, but nothing is known of him. Why he is there is a complete mystery, but he has left his mark. 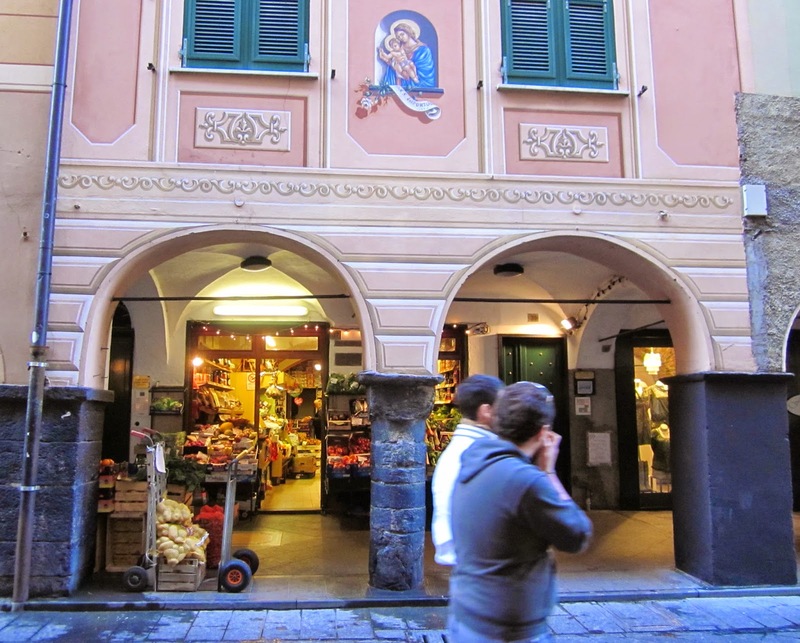 You can almost feel the spirits of the many Chiavarese who have passed this way as you walk along the oldest of the old streets, the ones with the short, squatty porticoes that pull you in and protect you. And I’m convinced that one of these days I’m going to turn a corner and actually run into Christopher Columbus. I"m convinced it will happen.